Edgar Magnin (July 1, 1890 – July 17, 1984) was rabbi and spiritual leader of Wilshire Boulevard Temple (previously Congregation B’nai B’rith), the oldest Jewish congregation in Los Angeles, California. Magnin served at the temple for 69 years and was considered one of the most prominent Jewish leaders in the United States, sometimes called the "Rabbi to the Stars" because of his close connections to the Hollywood film industry. My name is Ibtisam. I am Palestinian, living in northern Israel. My primary focus is on improving relations between Jews and Arabs in Israel, and I also work to improve the status of women in both Arab and Jewish society. Even though Arabs and Israelis live very close to one another, most have no social connection whatsoever. Most of my work is in the Palestinian community in Israel, especially amongst women whose position in Arab society is still repressed. I try to help them build up their confidence, and then I introduce them to groups of people of the three major faiths - Islam, Christianity and Judaism. For many years I have been counseling Arab and Jewish women regarding the status of women in society. As a religious Muslim woman, I work with religious Jewish, Druze, and Christian women on promoting peace by learning about each other's religions and cultures. I am on the board of Middleway, an NGO for the promotion of compassion and non-violence, and I helped found the Women's Interfaith Encounter, a program of the Interfaith Encounter Association. The book of Deuteronomy (sefer Devarim) is considered the composite of two layers of redaction, 'D1' and 'D2.' Together, these layers (commonly referred to as the 'Deuteronomist') are thought to have formed by a complex process that reached probably from the 7th century BCE to the early 5th. In general, D2 shares a particularly non-Judean perspective following the split between the north (Ephraim/Israel) and the south (Judah) after the reign of Solomon, a perspective that was ignored by D1 (and successive authors). D2 thus adds a parallel summary of the Northern Israelean monarchs, and brings in the prophetic narratives of Elijah and Elisha which take place in Northern Israel during the time of the Northern Israelean monarchy. In Deuteronomy, D2 adds hortatory (sermons) to D1’s narrative introduction at the beginning of Deuteronomy (the focus of which is the observation of the commandments and divine justice), and otherwise supplements D1’s work. D2 also adds some verses to the book of Exodus (sefer Shemot) in Parashat Bo. Rabbi Noa Mazor (HUC Jer '16) Educator, inter-religious and peace activist. 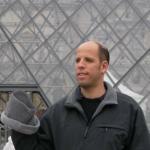 Rabbi Oded Mazor is a Reform rabbi and the rabbi of the Leo Baeck school in Haifa. He engages students at Hannaton Educational Center in Jewish text related to many daily and life-cycle issues in Judaism, including brit milah, kashrut and romantic relationships and helps connect the Halakha with real-life issues. Oded is a member of Kibbutz Hannaton. Dafna Meir, z"l, mother of 6, was a nurse who treated patients at the Neurosurgery department at Soroka Hospital in Beersheva, Israel. Andrew Meit is a scholar of the imagination, scholar on Martin Buber, a type designer and software tester, and a Jewish artist who is disabled. Andrew is legally blind, legally deaf, and has several learning problems stemming from contracting congenital rubella. Through out his life Andrew has striven to turn his disabilities into well made art that inspires and celebrates beauty and truth. Although mainly self-taught in calligraphy, drawing and design, Andrew formally studied at the Cleveland Art Institute. With the font editor Fontographer, he created the well known font GoodCity Modern (a version of the typeface used in Gutenberg’s bible) and Final Roman, a template font for type designers. Recently, after decades of work, Andrew produced a digital recreation of the first page of Genesis from the Gutenberg Bible. Currently he is working on a new translation of Ich und Du and a font based on Buber's handwriting. In 1984, Andrew earned a Bachelor of Arts in Religious Studies with minors in Mathematics and Philosophy from Stetson University. Originally from Lousiville, Kentucky, he currently lives in Plantation, Florida. 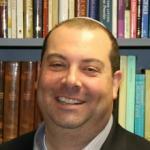 Rabbi Joseph B. Meszler is the spiritual leader of Temple Sinai of Sharon, Massachusetts. He also has a regular blog on the Huffington Post and is the author of several books and articles. 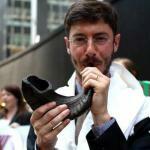 Rabbi Meszler has lectured widely and been heard in many venues, including Canadian Broadcasting Corporation radio. He has also been an instructor at the Kehillah Schechter Academy and previously served at Washington Hebrew Congregation in Washington, DC. He was ordained at Hebrew Union College in Cincinnati in 1999. Yosef Chaim (1 September 1835 – 30 August 1909) (Iraqi Hebrew: Yoseph Ḥayyim; Hebrew: יוסף חיים מבגדאד) was a leading Iraqi ḥakham (Sephardi Rabbi), authority on halakha (Jewish law), and Master Kabbalist. 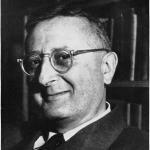 He is best known as author of the work on Halakha Ben Ish Ḥai (בן איש חי) ("Son of Man (who) Lives"), a collection of the laws of everyday life interspersed with mystical insights and customs, addressed to the masses and arranged by the weekly Torah portion. Netanel Miles-Yépez is an artist, religion scholar, and spiritual teacher. Born into a Mexican-American family, in his late teens, Miles-Yépez discovered his family's hidden Jewish roots and began to explore Judaism and other religions seriously. After studying history of religions and comparative religion at Michigan State University, he moved to Boulder, Colorado to study with the innovative Hasidic master and leader in ecumenical dialogue, Rabbi Zalman Schachter-Shalomi, founder of the Jewish Renewal movement. In addition to Schachter-Shalomi, he also studied with various Sufi masters and teachers of Buddhism, and counts Father Thomas Keating, Trappist monk and founder of the Centering Prayer movement, as an important influence. 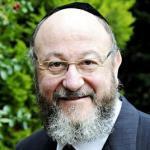 In 2004, he and Schachter-Shalomi co-founded the Sufi-Hasidic, Inayati-Maimuni Order, fusing the Sufi and Hasidic principles of spirituality and practice espoused by Rabbi Avraham Maimuni in 13th-century Egypt with the teachings of the Ba’al Shem Tov and Hazrat Inayat Khan. Currently, he teaches in the Department of Religious Studies at Naropa University in Boulder, Colorado. As a writer on religious subjects, he is known for his critically acclaimed commentaries on Hasidic spirituality (written with Rabbi Zalman Schachter-Shalomi), A Heart Afire: Stories and Teachings of the Early Hasidic Masters (2009) and A Hidden Light: Stories and Teachings of Early HaBaD and Bratzlav Hasidism (2011). He is also the editor several ecumenical works, including The Common Heart: An Experience of Interreligious Dialogue (2006) and Meditations for InterSpiritual Practice (2011). As an artist, Miles-Yépez is mostly known for his vibrant paintings, influenced by traditional religious imagery and his Mexican-American heritage. His work in general represents a lifelong fascination with religious iconography, myth and symbol, image and archetype, cultural impressions and his own ancestry. Most of his work is concerned with the acculturation and use of traditional symbols and iconic forms in a new multi-cultural paradigm. Rabbi Jessica Minnen is the founding director of Seven Wells and the assistant director of the Jewish Journey Project. She is an alumna of Washington University in St. Louis, the Pardes Institute of Jewish Studies, Paideia: The European Institute for Jewish Studies in Sweden, Baltimore Hebrew University, and the Jewish Theological Seminary. Jessica sits on the Board of Directors of the American Jewish Society for Service and is a visiting rabbi at Beth El in Bethesda, Maryland. Mishkan Shalom, founded in 1988, is a Reconstructionist synagogue located in the Roxborough-Manayunk neighborhood of Philadelphia, dedicated to repair of the world through prayer, study and acts of caring. Rabbi Nina Mizrahi is the director of the Pritzker Center for Jewish Education of the JCC of Chicago. Raised as a free-range child, Rabbi Nina Mizrahi’s deep spiritual center is rooted in the woods of upstate New York. After studying Biology and Environmental Chemistry in college, she worked in a research lab. Later ordained at HUC-JIR, her approach to Jewish life draws from all expressions of Judaism and is influenced by science, nature and neo-chasidism. Rabbi Nina honors all learning styles and inspires learners to think in new ways. Identified as a community rabbi, she seeks to bring together believer, atheist and agnostic, humanist, deist and seeker, to discover a shared tradition of ethical and spiritual values. Lada Moskalets is a historian, graduate student at Jagiellonian University (Kraków, Poland), and coordinator of the “Jewish Studies” program at Ukrainian Catholic University (Lviv, Ukraine). Her academic interests include the social history of Eastern European Jewry, and Yiddish.